Fire Emblem Heroes players can look forward to earning some extra orbs right through to February 27, thanks some limited-time quests. 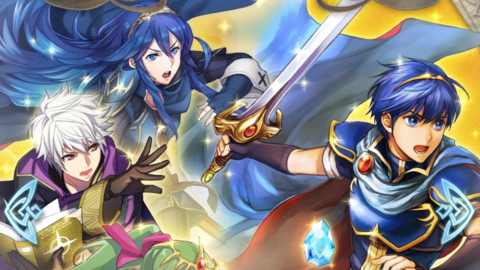 Orbs in Fire Emblem Heroes are the currency players can spend to get a random selection of five new heroes to add to their pool. The limited quests are focused on weapon mastery, requiring players to clear sections of the story mode and the training tower with full teams of either sword, lance, or axe characters. The event also includes three special maps which are especially useful for new players to get a feel for the strengths and weaknesses of the three primary weapon categories in the game. Swords, axes, and lances each have a special map, with one normal and one hard difficulty mission each for players to beat to earn orbs. Players that log into the game each day of the event will receive the daily bonus of two orbs. Couple that with the orbs received for completing all 12 event battles, and you have the chance to earn a total of 26 orbs, reports Polygon. In other Fire Emblem Heroes news, new characters and changes to the game were reported last week, one player dropped $ 1000 into the game and still didn’t get the heroes they wanted, and here are 10 thing we’ve learned from playing Nintendo’s digital gashapon hero dispenser. Tagged Candy, Emblem, Event, Fire, Hands, Heroes, Like, Orbs, Preview.